Above: Carnival Splendor in St. John. Above: The Marco Polo Cruise Terminal. Below: Queen Mary 2 at the Marco Polo Terminal. Above: The Diamond Jubilee Terminal. Below: Brilliance of the Seas at the Diamond Jubilee Terminal. England itineraries. 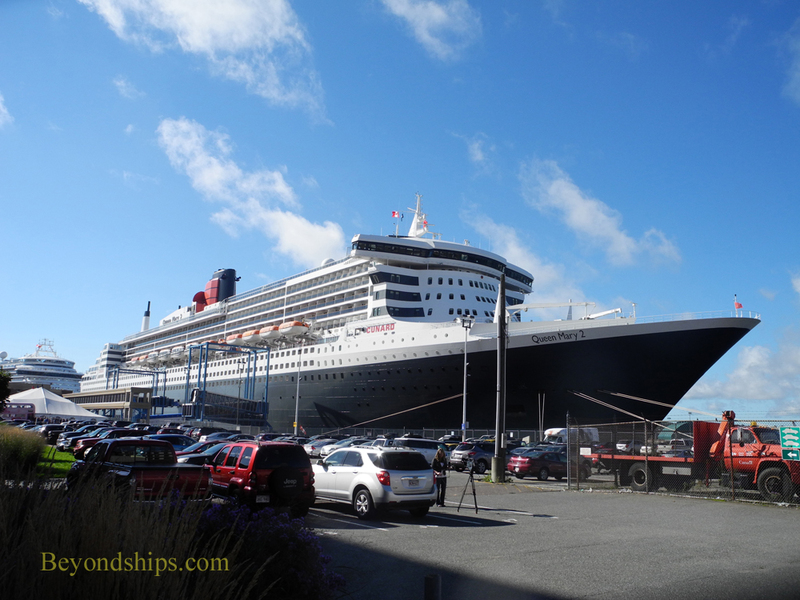 It has been hosting modern cruise ships for just over a quarter century. According to modern legend, the first cruise ship to call here was seeking refuge from a passing hurricane in the 1990s. 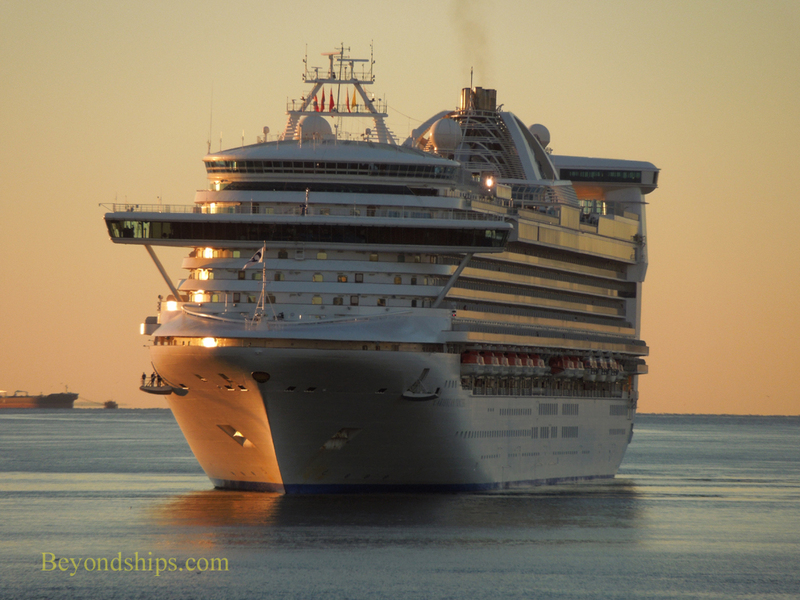 Since then the popularity of the port has grown so that it now welcomes some 210,000 cruise passengers and crew during the cruise season, which runs from May to October. 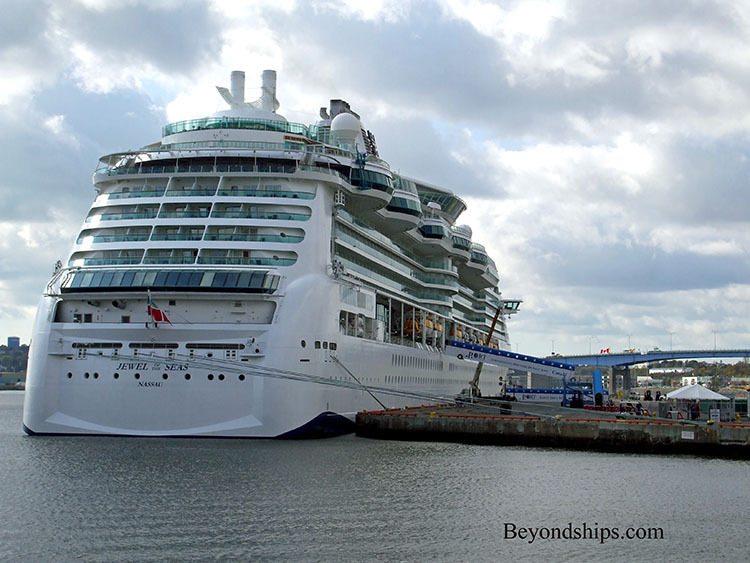 The port is attractive to the cruise lines for several reasons. First, it is a clean attractive small city. Second, the locals are friendly and eager to have cruise ship visitors. Third, under American law, foreign flag ships (very few cruise ships fly the American flag) cannot do itineraries made up entirely of US ports. For ships sailing out of New York or Boston, Saint John presents an alternative Canadian port to Halifax. The harbor is roughly rectangular in shape. 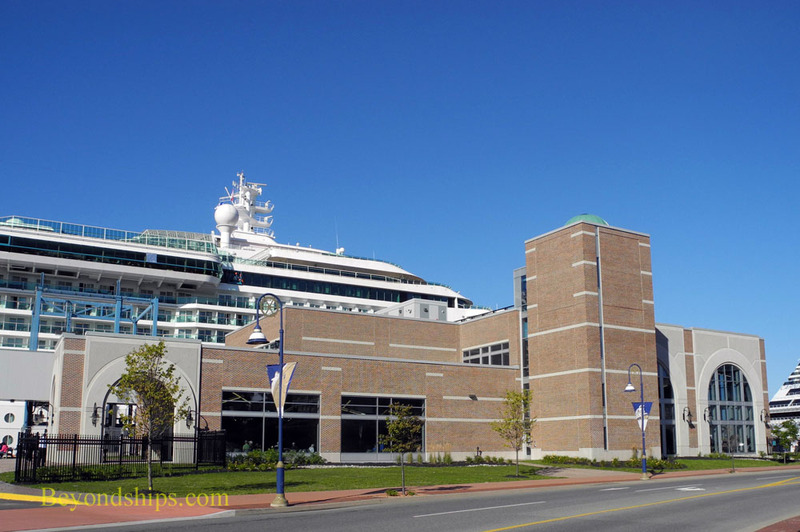 In 2009, Saint John opened the $11 million Marco Polo Cruise Terminal on Water Street, which runs along the left hand side as you enter the harbor. A second cruise terminal, the Diamond Jubilee Terminal, followed a few years later just down the street. As a result, St. John now has two modern terminals. 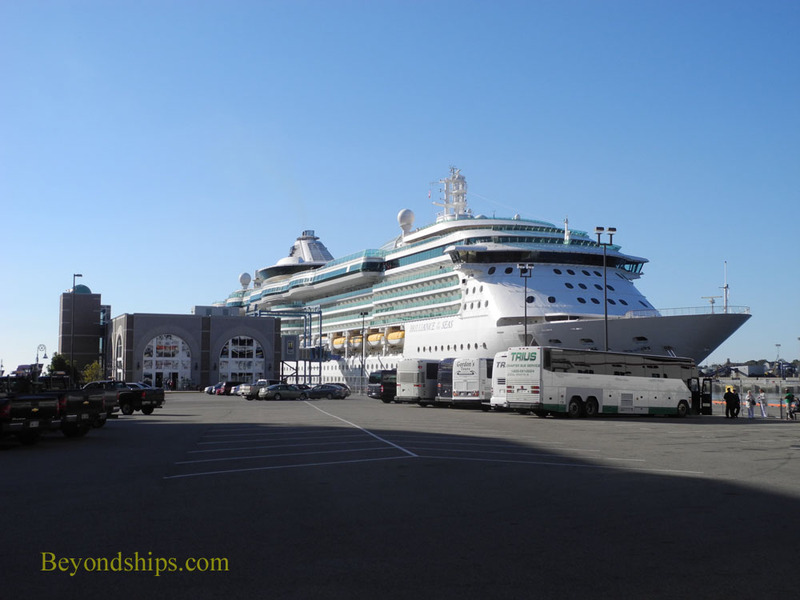 Cruise ships can also dock at The Long Wharf. This facility is at the landward end of the harbor and is usually used for cargo. When a cruise ship is docked here, a tent pavilion is often erected to handle security and for local merchants selling souvenirs. The water level in Saint John Harbour changes dramatically with the tide. As a result, for ships not using the cruise terminal's facilities, the gangway has to be shifted from one deck to another during the course of the day. Above: Jewel of the Seas at the Long Wharf. 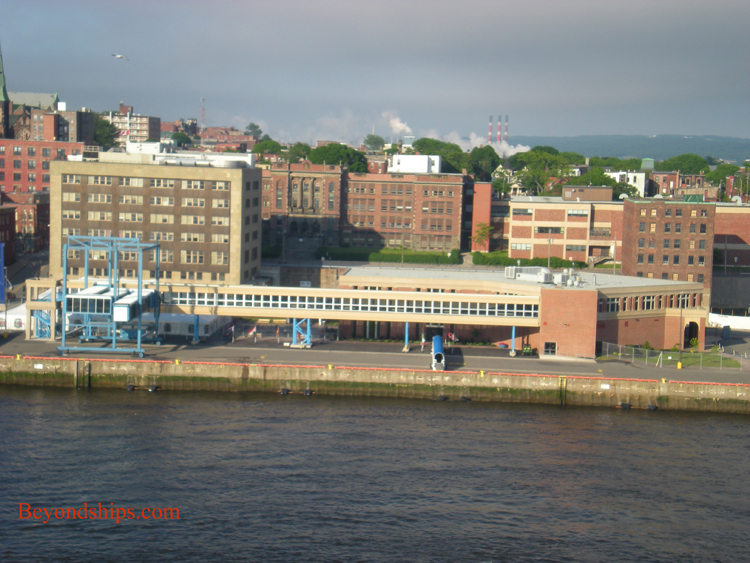 The cruise ships dock in the heart of Saint John and many of the places of interest are within walking distance from the cruise terminals. It should be noted, however, that there are some steep hills that may make walking difficult for some. One can also walk from The Long Wharf into the main part of Saint John but it is more distant. There are several tour bus companies that offer tours of the St. John and the surrounding area. Taxis are also available but not overly plentiful especially on days when there are several ships in port. Some taxis wait dockside and offer tours of the area. Tours are also offered by horse drawn trolleys and there are guides who offer walking tours. Left: Caribbean Princess arriving in St. John.